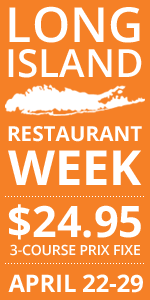 The Italian and Italian-American influence on Long Island wine country is strong. Among the thirty-plus East End producers there are ones named Pellegrini, Pugliese, Castello di Borghese and Diliberto – and others that are owned by people of Italian heritage, many of whom grew up making wine with their families. 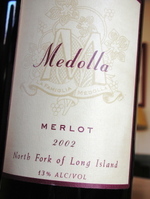 Medolla Vineyards, owned by John and Denise Medolla, has recently joined the fray with its first release, this 2002 Merlot. Medolla Vineyards operates under a tenant winery license at Lenz Winery. 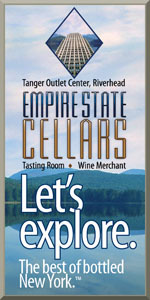 Basically, Lenz Winery serves as a host winery and Medolla uses the facilities when Lenz isn't using them. Lenz winemaker Eric Fry also serves as the consultant winemaker. Both John and Denise work in the aviation industry, but their family has winemaking roots that can be traced to the base of Italy's Mount Vesuvius. John's grandparents were winemakers from the nearby town of Torre Del Greco. "My family used the Piedi Rosso ("red foot") grape and as legend has it, the Moscato grape as well." One of the smallest producers in the region, the Medollas – who share winemaking duties – have an annual production of just 500 cases, and will focus on selling their wines to fine restaurants and select wine shops. Without any vineyard holdings of their own, the Medollas hand harvest grapes from local vineyards. The grapes for this wine came from Dzugas Vineyards but since then, the Medollas have been working with Sam McCullough of McCullough Vineyards (and Lenz). This first release is a great example of classic Long Island Merlot that straddles that line between Old and New World, with a little rustic edge to it. The nose offers tobacco aromas along with raspberry and cherry fruit. Medium bodied, the flavors are similar to the nose with some minty, eucalyptus nuances and well-incorporated, ripe tannins. Well balanced with a nicely long finish, this is a wine worth seeking out and a relative bargain in a market with sometimes-insane prices.